Delay paying off your Mortgage Early, Build Liquid Assets till Your Debt is Less than All your Liquid Assets. There is this deep, personal finance topic that a lot of every day people are trying to figure out that perhaps some financial bloggers do not know. And once they know it they will spam the financial blogosphere with article. The topic: should I pay off my HDB loan early? It didn’t occur to me that this was a big topic until I was asked quite a fair bit by people I first met. Not the ridiculous what Miles versus Cash back competition. It is like asking which fragrance you prefer for the mothballs you put into your toilet bowl. I think why a lot of friends and family is exploring this question is because I think most of us are conservative and want to do the right thing by accelerating pay off. However, we want to do the right thing and am not sure if paying off the home loans early is a wise choice. I wrote an article exploring whether we should repay more of our 2.6% HDB loan to save 0.1%. This was a tough comparison, and there were a lot of people giving feedback on Facebook with my results. 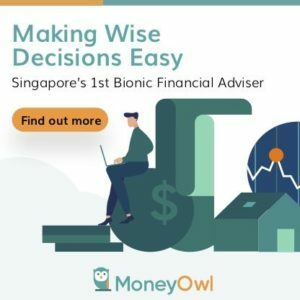 The general idea is that if you delay your HDB loan payback, the money in OA can have a longer time to compound and so eventually it wins out, versus if you pay back early. However, the conclusion is a bit mixed but somewhat the conclusion is more about not paying back so fast. I think the opportunity cost is even larger if you choose to transfer the money from your CPF OA to your CPF SA. So we should end our discussion there. Except that I think we can find a better balance between paying off your mortgage loan early, versus taking advantage of that mortgage loan. There are also advantages if you do not pay off early. Well there is one main reason. The property loan is a unique loan that is secured against a property and therefore the interest rate is relatively low. Thus, it is a cheap form of financing. As long as you are able to service it, it is less likely the banks can margin call this loan. As such, if you can leverage upon this loan, it can be financially very beneficial to you. At one end of the spectrum, it is suitable for greedy people. At one end it is suitable for very risk adverse people. The answer that you are looking for is perhaps somewhere in the middle. If you are a wealth builder, I think it makes sense to drag out the loan. Suppose you are a stock investor, you can borrow to leverage up your stock position. You may wish to buy a blue chip REIT Ascendas REIT on leverage. However, the interest financing option is not cheap. It ranges from 3.3% to 6% depending on the kind of stocks you wish to purchase. If you are able to buy, you are at the mercy of the brokerage because they can be very very fickle when times are bad. Stocks are also inherently volatile. If you combine a volatile brokerage and stocks, and it becomes a problematic form of finance. You could frame not paying off your mortgage early as getting a line of lower interest credit. If you pay off your mortgage early, that cash flow gets locked into the property, and you cannot do anything with it. Unless you sell the property. Now, I am aware that if you own a private property, you could possibly re-mortgage or get a line of credit secured against your property. However, with HDB loan, you cannot do that. There is an opportunity cost to early pay off. By not early paying off, you could take that cash flow which otherwise you would pay off to go out and enjoy, or to build wealth. The latter is the more sensible option. You could take that cash flow and purchase some savings plans, build an exchange traded fund portfolio or purchase some dividend or growth stocks. With a mortgage out there, how do you gauge whether you are in a safe position or not in a safe position? I will recommend we work on a basic concept: You can borrow money, but if the situation becomes challenging, you should be able to “cover back” the debt as quickly as possible. I think if you work hard to reach a less than 100% personal debt to liquid asset ratio, you should be OK. These would be cash & equivalents, financial assets that you could liquidate easily for cash, whether you lose money or not. For example you can have a portfolio of stocks. Some of them could lose value, but you could sell them readily and convert them to cash. The table above shows the possible asset and liability situation of you. You will have a total asset base of $800,000. You still have $300,000 in outstanding mortgage debt. Based on your debt to total asset ratio of 37.5% which looks pretty good. However, if you lose your job, if all your assets are not liquid, and cannot be en-cashed easily, you will face some issue meeting the mortgage payment. If we only consider the assets that are liquid and compare them against your total debt, then it might be more meaningful. In this case, your cash, portfolio and savings plans are liquid. Some are more liquid then the others. For example, you might choose to liquidate the portfolio than the savings plans since the savings plan might not have reached maturity. In theory, you should have $400,000 in liquid assets. If we divide the total debt of $300,000 by the total liquid assets of $400,000, we have a debt to liquid assets ratio of 75%. This means for $1 of liquid assets, you only have $0.75 in debt. In this way, you take advantage of the cheaper financing to grow your asset base. In the worst case scenario, you could liquidate part or all your liquid assets to pay off the mortgage. This is also one of the ways we ascertain how safe a stock is. If the stock could pay off its debt with its liquid assets, then it can weather financial storms much better. You worry less whether you should pay off your debt early or invest. As long as you build up productive assets, this improves your overall net worth, and also put the money in productive sources. You start off in a position where your total debt to liquid assets might be above 100% but if you wish to be product, work your way to less than 100% debt to liquid assets. I said in the past, in real situations, you do not need to ensure you have cash to cover your entire mortgage. If you have liquid assets that covers 3 to 4 years of your debt, it is pretty good. However, a lot of us would like to compartmentalize and think that we are debt free in a certain way. Keeping a debt to liquid assets of less than 100% is a way to achieve this. Also do be aware that, while the interest rate is relatively low for home loans, if you decide to build liquid assets and keep them in cash, perhaps it makes more sense to pay off the mortgage. Becoming net worth positive asap and then one thing less to worry over future economic and market cycles and focus more wealth building for FI, FIRE or FIRe. Most important is not to buy too much house from the start — should be less than 4X annual household income, ideally 3X. Once you over commit to your home, you lose a lot of the fundamentals of building an adequate retirement fund, unless your income goes up exponentially. As for paying off early or not, depends on unique family situation e.g. psychological makeup, need for liquidity, income level, job security, ability & temperament to generate higher long-term returns, etc. For many, may be better to just pay off earlier rather than dabble in stocks when things are good, but having a psychology to end up buy high sell low. Hi Sinkie, that made sense. Thanks for this article, it cleared some of my questions which I couldn’t articulate to myself properly. Hi Sandeep, no problem. Glad it somehow was helpful. I agree with the concept of opportunity cost. If you repay your home loan, your ‘opportunity cost’ is that you could have used the cash for other things. However, if the ‘other thing’ is not so attractive, then the opportunity cost of repaying the loan is not so high. I bought my current home with a no-lock in housing loan at 0.98%+SOR so I could make partial repayments at any time. When STI was above 3,000, i made loan repayments instead of investing in the market, allowing me to repay my loan by 2015. Just in time for 2016 when STI went below 3,000 again. Hi lim, thanks for sharing. So this means that you choose to capital allocate your cash flow to where it is the most valued.